Outline of the 1000 year-old tomb Photo Credit: Museum Silkeborg/Science Nordic. A tomb containing the remains of two men and a woman found in Denmark offers valuable information on international Viking culture. 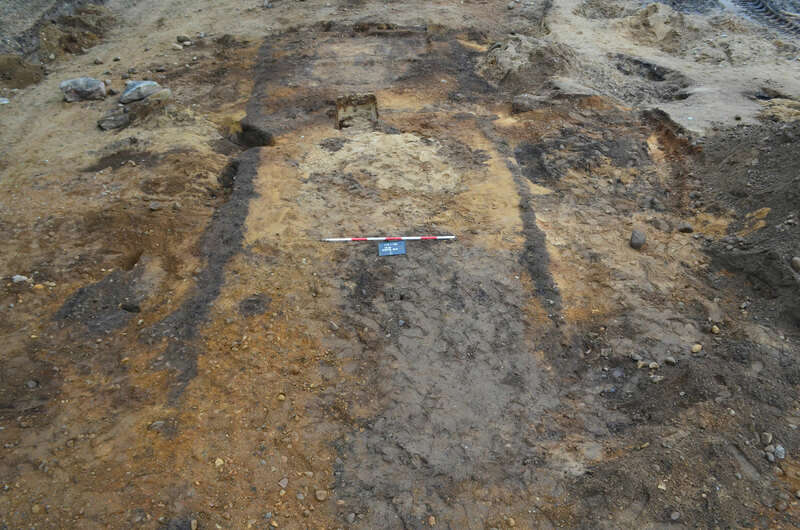 The tomb was discovered in 2012, in a large Viking burial ground in southwest Denmark. It contained three graves, of a man and a woman in the main part, and of another man in the back, which was added later. This unique Viking tomb is known as a ‘dødehus’ or ‘death house’, it is 4 by 13 metres and dates back to 950 CE. The man buried in the main part of the building was buried with a great battle axe, which was known at the time as the Dane Axe, a formidable weapon feared by people across Europe. He was apparently a noble, of high social status. The woman was also a noble, since she was buried in a wagon, the typical way of burying women of noble birth. Two keys were found in her part of the tomb, one being a symbol of her power and status, the other for a small square shrine buried with her, a quite rare find. The high status of the pair is also signified by special markings on the grave. It is quite unusual that the same high status for men and women is indicated so clearly as in this tomb. Although individual graves of high social status women have been discovered in the past, as well as shared graves, this particular grave shows clearly that this is the case of a powerful couple. Other findings in the tomb, such as Baltic ceramics and silver coins from the region of today’s Afghanistan, show that the couple were international. Perhaps the inspiration for the very tomb was an imported one, since it is similar to stave churches found throughout northern and western parts of Europe. The international evidence the excavation has yielded offer evidence that the Vikigns travelled a lot and to faraway places.